I’ve uploaded some of the field recordings I made on São Miguel island during my R&D trip in April 2017. 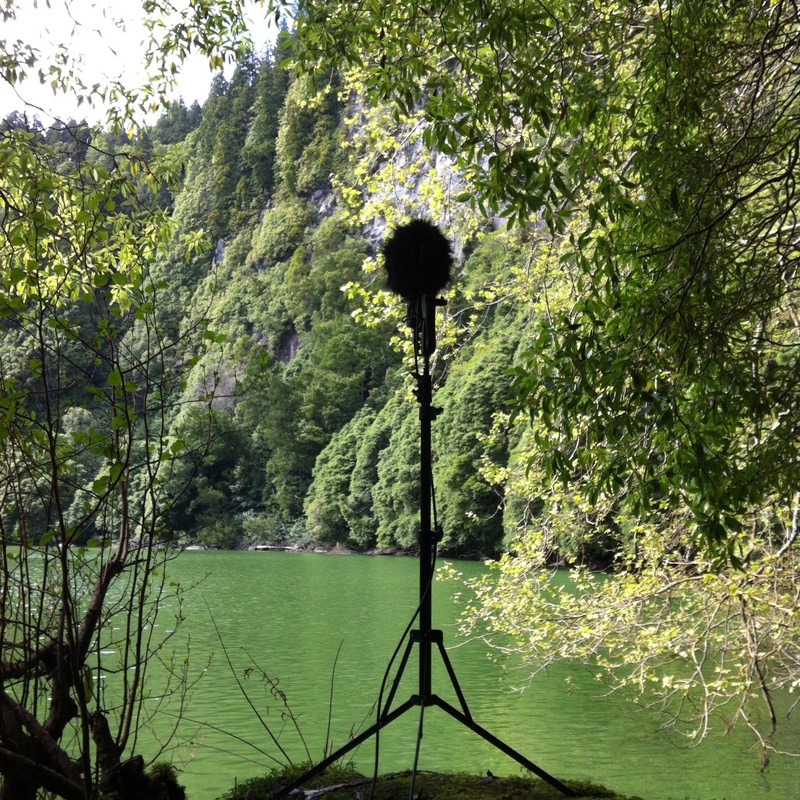 There’s a variety of recordings made with the Ambeo VR ambisonic microphone including birds and frogs from some of the many calderas on the island and some urban recordings from Ponta Delgada. You can listen to the recordings on the R&D São Miguel Field Recordings page. I’ve finally got around to writing up some of my research for my Invisible Places 2017 R&D project. In April 2017 I traveled to São Miguel island in the Azores to attend the Invisible Places international conference. As SOUNDkitchen, Annie Mahtani and I devised and led a soundwalk for conference delegates in Ponta Delgada. 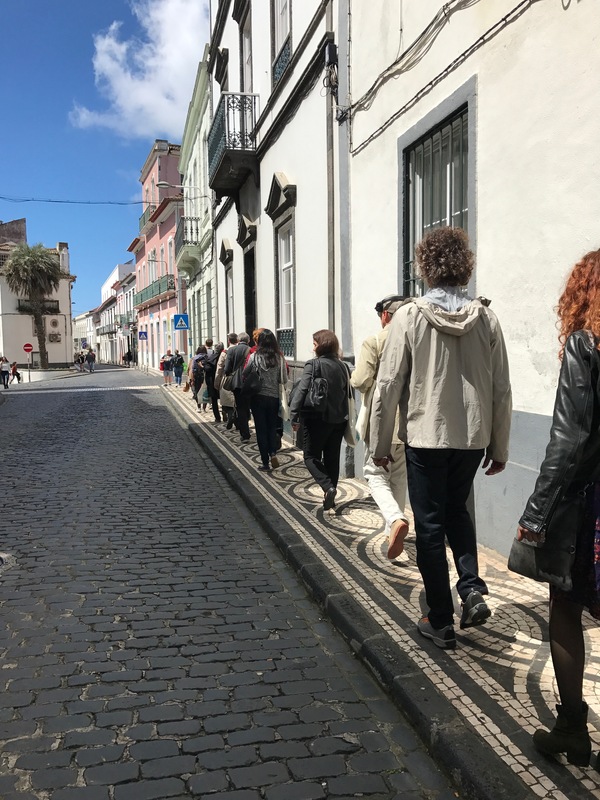 We’ve written an account of the walk for the conference proceedings which you can read on the R&D SOUNDkitchen SOUNDwalk: Ponta Delgada page along with further information about our soundwalking practice. There’s also a montage of field recordings that features examples of the soundscape we encountered in the town and across the island. 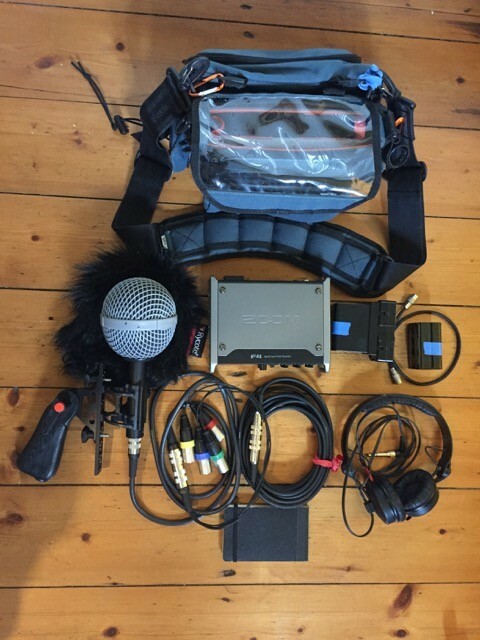 I’ve also posted a detailed overview of the field recording kit I took on the trip. In addition to creating the soundwalk and attending the conference I spent several days field recording across the island. This was a perfect opportunity to develop my multichannel field recording practice working with some new equipment. I’ll be posting descriptions of the techniques I used and examples of the recordings I made soon. In the meantime you can read about the Zoom F4 multitrack recorder and the Ambeo VR microphone that I used to make ambisonic recordings on the R&D – Field Recording page. I’ve just completed a new 5 minute piece composed especially for SOUNDkitchen’s STONEsoup event this Friday 4th March at mac, Birmingham. 12 sound artists have submitted up to 5 minutes of composed material or field recordings sourced in Birmingham. The contributions have been mixed by SOUNDkitchen’s artistic director Annie Mahtani into a one hour concert that will be diffused over the BEAST multichannel sound system. My piece Tesseral Form No. 2 (Residence) draws sounds from my archive of recordings made around Birmingham city centre along with sounds sourced in a couple of houses I’ve lived in in Brum over the years. The work is the second in an ongoing series provisionally entitled ‘Tesseral Forms’ that uses articulated blocks of sound as a structural process much like the tiles in a mosaic. In this piece I was interested in the juxtaposition of internal and external spaces, domestic and public. a small block of stone, tile, glass, or other material used in the construction of a mosaic. Click on the image for more info about the gig on the SOUNDkitchen website. I’ve just completed another couple of Creative Partnerships projects that I’ve been working on over the summer term. I was working with a Yr3/4 class at St Bartholomew’s Primary in Wolverhampton to create some podcasts and a project blog. This was one of the youngest groups I’ve worked with on a project of this sort and they coped really well. They wrote some fantastic scripts and managed to get to grips with recording using portable recorders. They also mastered basic editing and mixing using Audacity. We also did a little bit of work using Garage Band on the school mac. The other project was at Penn Hall SEN School also in Wolverhampton. I worked with the whole school to create a sound trail around the school grounds with imaginary soundtracks for each of the six locations. Participants followed a map and listened to directions and the soundtracks on mp3 players. I collaborated with graphic designer Nick Smith to create the map and we also produced an interactive CD Rom to document the project. More info and examples of the work on the updated ‘Creative Partnerships’ page. More updates on the Workshops pages. I’ve uploaded some examples of the work I have been doing in Creative Partnerships schools this term along with some links to the school websites where you can find out more about the projects and see examples of work produced with other artists. I’ve made some updates to this site. There is another laptop mix available to download on the Laptop Perfomances page. One of my first from 2003. There is also a new page under Workshops called Various Projects where I’ve added some work from a couple of school projects – an animation and a interactive sound map.